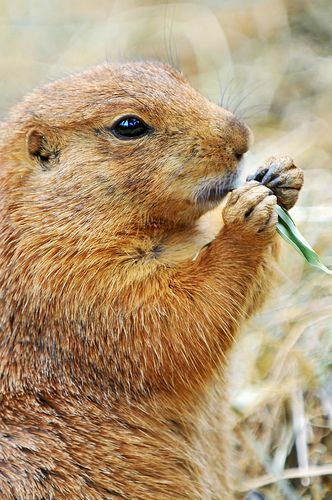 Groundhogs are from the marmot family and are also rodents. They are abundant across North America and are famous for announcing spring. The Abenaki had a guardian figure named Grandmother Woodchuck, who cared for their trickster hero, Glooskap. Her wisdom and love balanced the short-sighted impetuosity of her magical ward. Groundhogs are often overlooked as spirit animals, but all animals bring messages, and this season most definitely belongs, in part, to the groundhog. Groundhog power lies in knowing your surroundings completely, in digging deep, in observing an area and being vigilant for signs of danger, and then being able to quickly locate a safe, tucked away spot to wriggle into. The groundhog lives half of its life underground. This means that many of their activities are not seen or known of, and that they are present even when not seen. As a totem message, this part of the groundhog’s way shows us that it is okay to work behind the scenes, and to move between the worlds of light and dark without questioning in which world you belong. The groundhog is also all about getting into new projects, which may even have a two year cycle to mature, just as the groundhog does. Groundhogs build multi-roomed burrows underground; this implies a certain level of civilization and engineering expertise. The most remarkable element of groundhog wisdom is their hibernation cycle, which is so deep that their body’s temperature drops by fifty degrees and their breathing slows to one breath per minute. This is a true meditative trance, between the worlds in all ways. They are present, below the ground, slowly expending life force, so slowly they are barely vital, as they are surrounded by the element of earth, well below the frost line, and safe from the deepest cold of winter. The groundhog empowers your meditation and strengthens your ability to go into trance states and have powerful dreams. When you see a groundhog, take a moment to connect. The support they can provide now is a great resource for digging deep, creativity, persistence, perception, abilities to transmute worlds, and a natural meditative state.